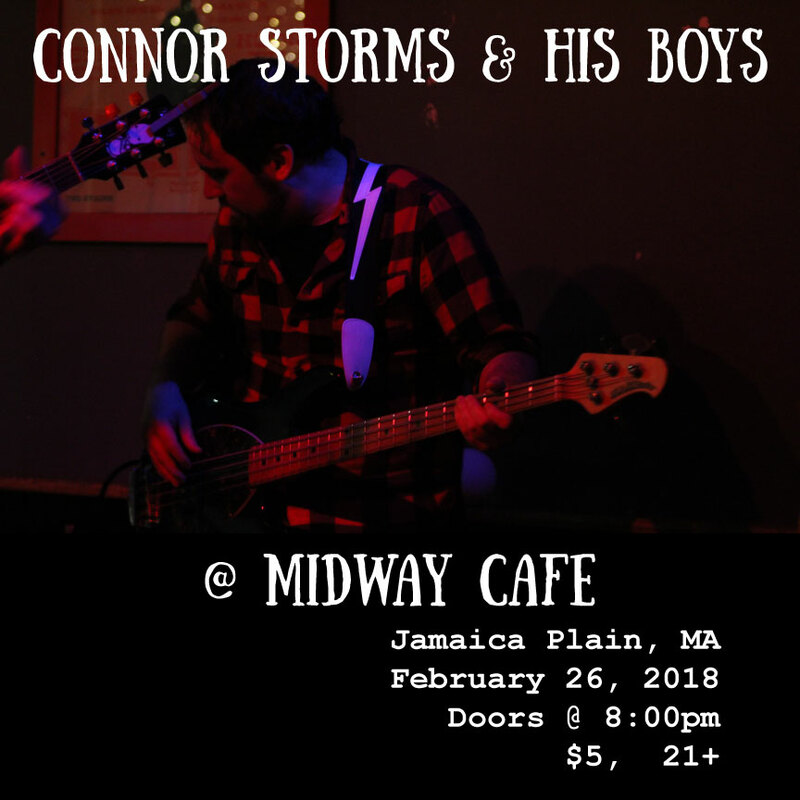 "A little boy of a man spiraling into madness to the sounds of upbeat, folk-rock tunes sung strangely." 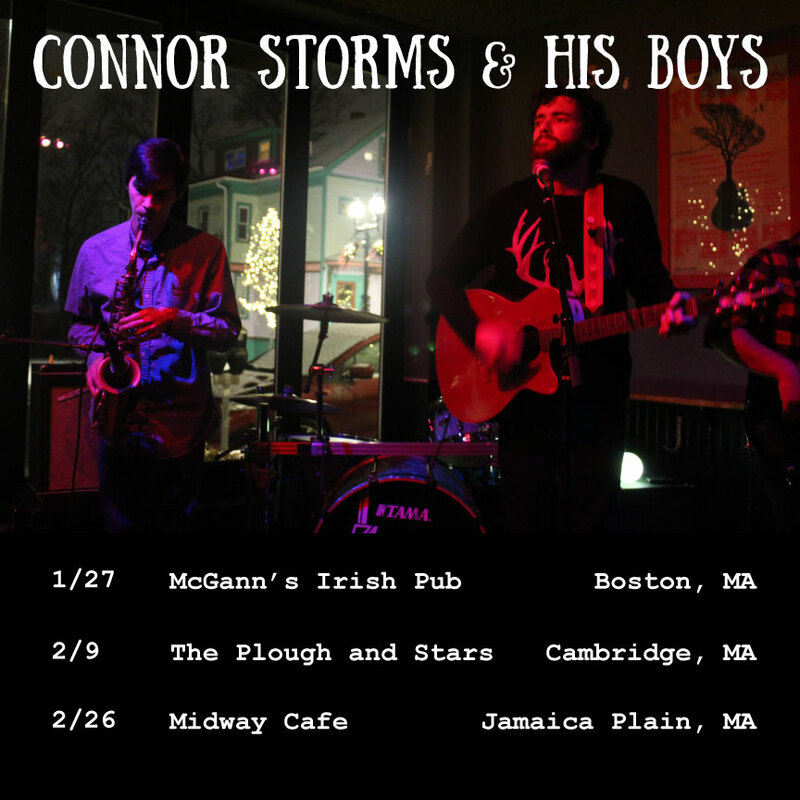 Connor Storms & His Boys are a folk-rock trio from Somerville, Massachusetts. 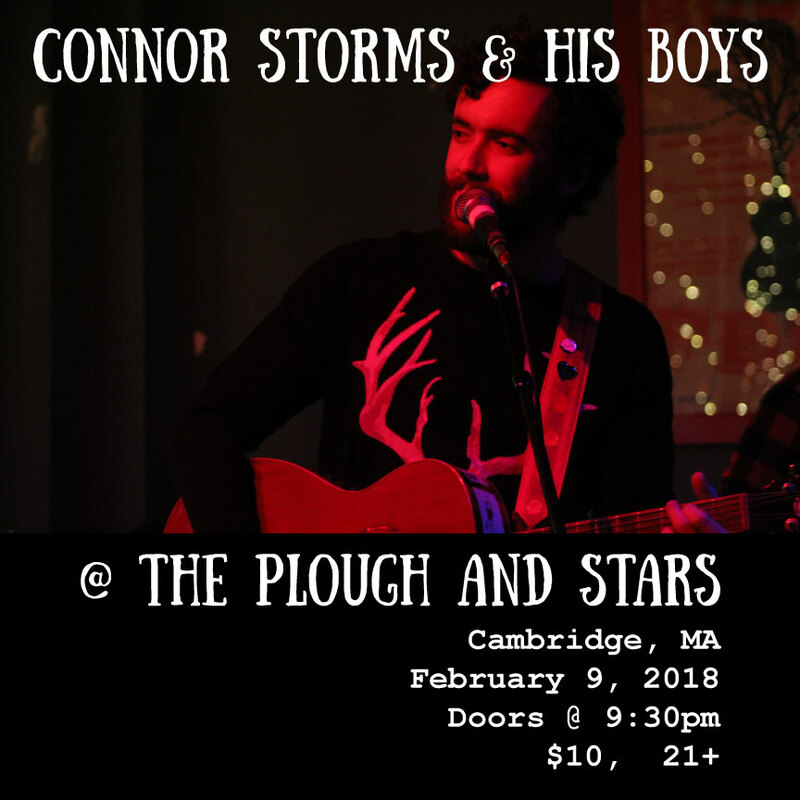 The band sought me out to create promotional graphics for their upcoming shows. Some involve edited photos from past performances. Others are drawn by hand with ink. 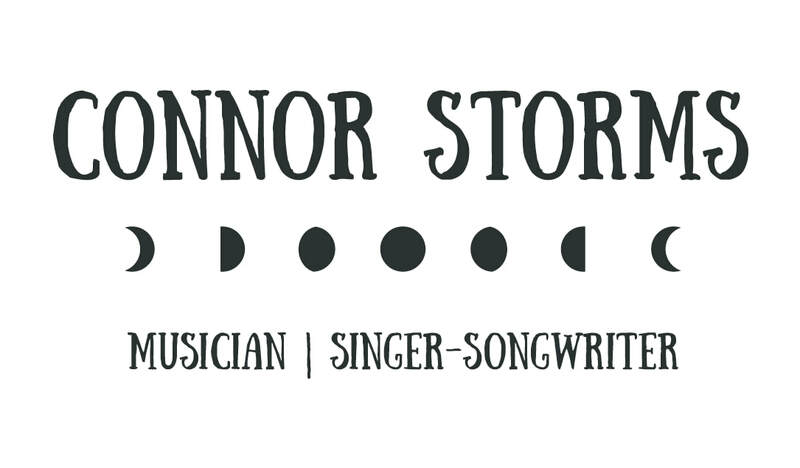 I was approached by Connor Storms to create a business card to hand out to venues and promoters in order to set up shows for the band or for Connor Storms solo performances. 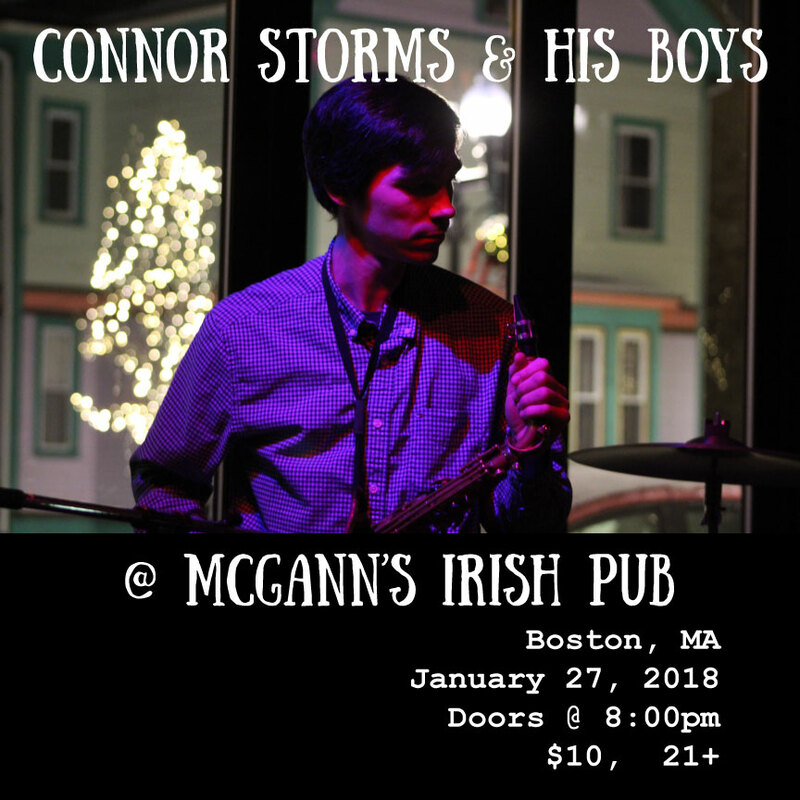 I collaborated with Connor about the layout and fonts, and went for a very simple design. 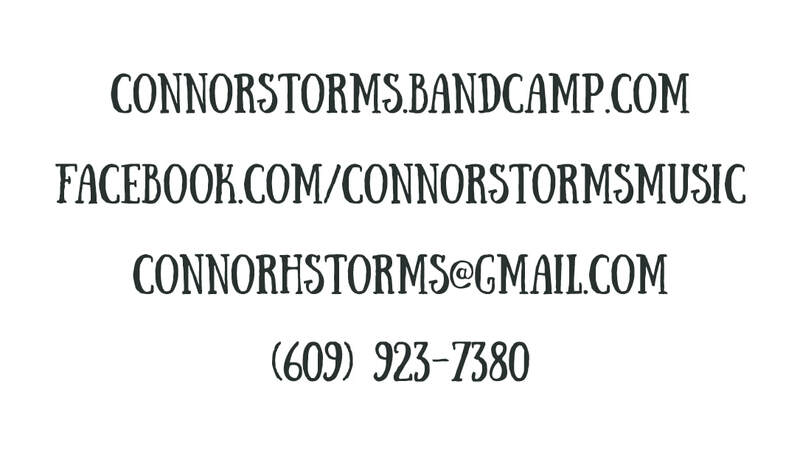 The band wanted stickers to sell at performances. Similar to the business card, we collaborated on a very simple design.